Are you too busy to read? This DVD is for you! 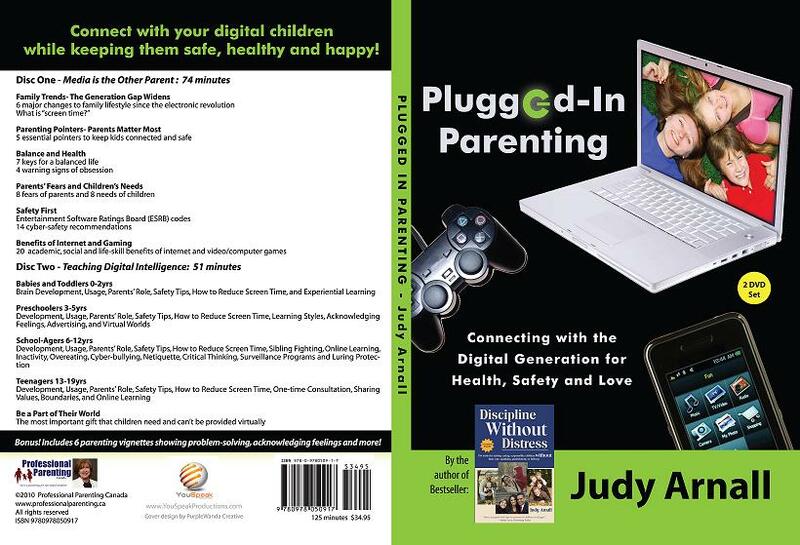 PLUGGED-IN PARENTING offers two hours of tips, ideas and non-punitive strategies for parenting digital children from babies to teenagers, in every aspect of digital intelligence including cybersafety, netiquette, cyberbullying, social media guidelines, health promotion and even the academic benefits of computer and video-gaming. You will appreciate the valuable parenting demonstrations that show how to keep kids connected to you while you set healthy limits on video/computer games, social media and cellphones. This DVD is ideal for busy parents and caregivers who want accurate researched information but have little time to read books. Keep your digital children safe, healthy and happy, without losing your vital relationship connection!